In October 2017 we got our first Mustang, BLM Mustang Luna from Beaty's Butte Oregon. 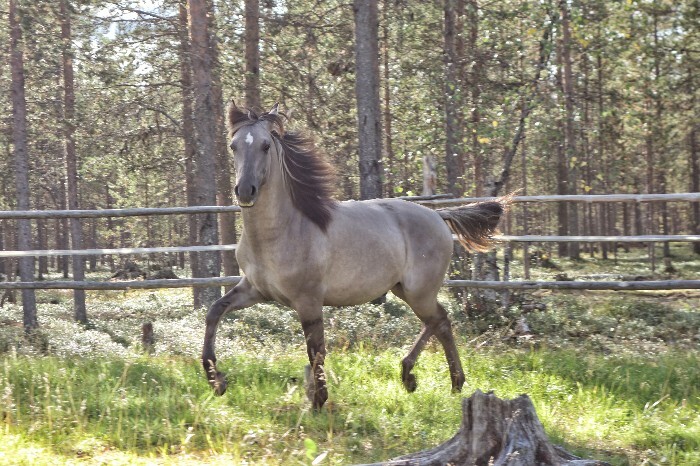 She is the first wild mustang in Finland. 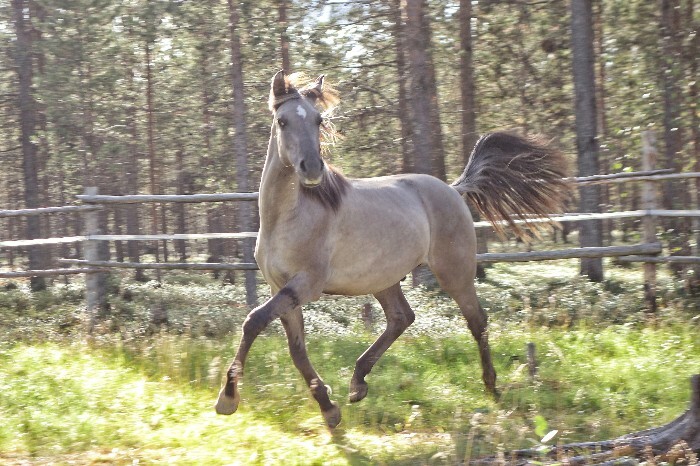 Now we have brought the first Kiger Mustang to Finland; K's Rock, "Pegasos", 1 year old stallion. 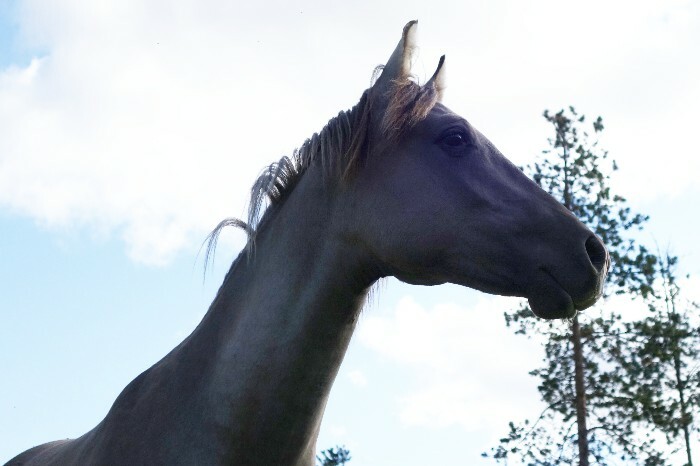 He is not actually our first Kiger, she, Frejes Tatiana, is now in Sweden with her breeder Jessica, waiting to grow up with her mother. Tatiana will come home in the ent of November! And with her will come also One of the most greatest Kigers we know, Silverbullet! Click here to see new amazing pictures from our Wolves!